This is a screen shot of WxRetran is action. The 10 priority queues allow you to establish priorities for the problems being retransmitted by your station. 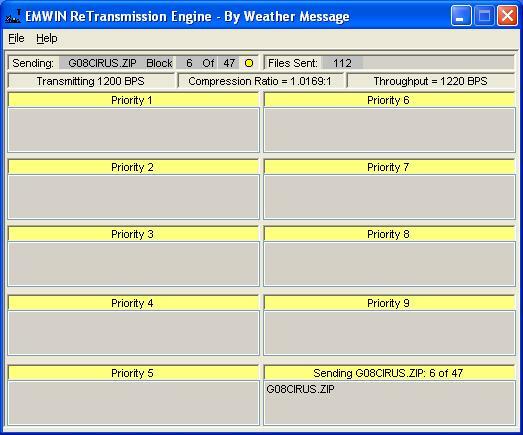 WxBBSrvr allows you to act as a Byte Blaster server on the internet or private network. 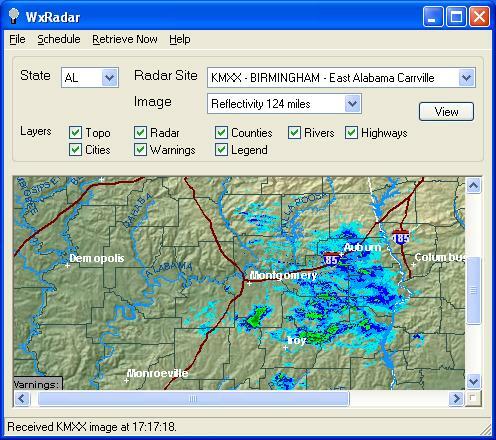 WxRadar can be optionally used to download radar images for inclusion in your retransmission data.